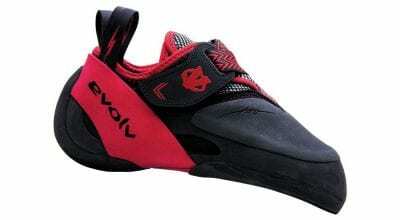 The Momentum is Black Diamond’s first foray into rock shoes. Hailed by BD as the “perfect entry-level” shoe and great for “all day comfort,” they haven’t misspoken. 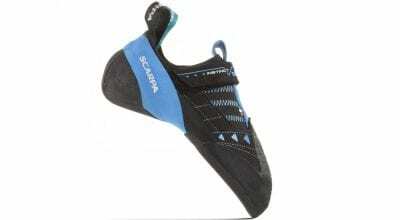 I’ve got over 100 pitches in the shoes, and the rubber has worn evenly, the seams haven’t split and when I wear them in the gym to train on the auto-belay, I don’t bother to take them off between laps. So yeah, the shoes are comfy. For a beginner climber, the Momentum is excellent, and with a tag of $89.95, the price is right. The shoes have enough performance to take you from 5.6 to 5.11 on any type of route, and, for a soft, slipper-like flat last, they edge decently, mainly due to the rather straight profile on the inside of the shoe, which lets your big toe do all the work. Because of a nice long arch on the outside rand, the backstepping ability of the shoe is generous. The tensioned-rand heel is a tad roomy, but, a beginner to beginner/intermediate climber still won’t have to slip on a different pair for a V3 heel-hooking arete on slopers. Part of the comfort is surely due to the fact that for this shoe BD has custom molded the rubber for each piece, not cut its strips from a large sheet and then glued and ground, the latter process producing more inconsistencies in thickness and weight. The uppers on the Momentum are unique—what BD calls “Engineered Knit Technology”—and you’ll notice the knitted material when your S.O. doesn’t toss the shoes into the garage because they don’t smell like an old diaper. Breathability. Check. I fit the Momentum in my street-shoe size and it was spot on. My big toes did feel pressed at the end of the toe box, but that is likely specific to me, a bigly big toe. I also have an extremely high arch, and yet the fit was snug. 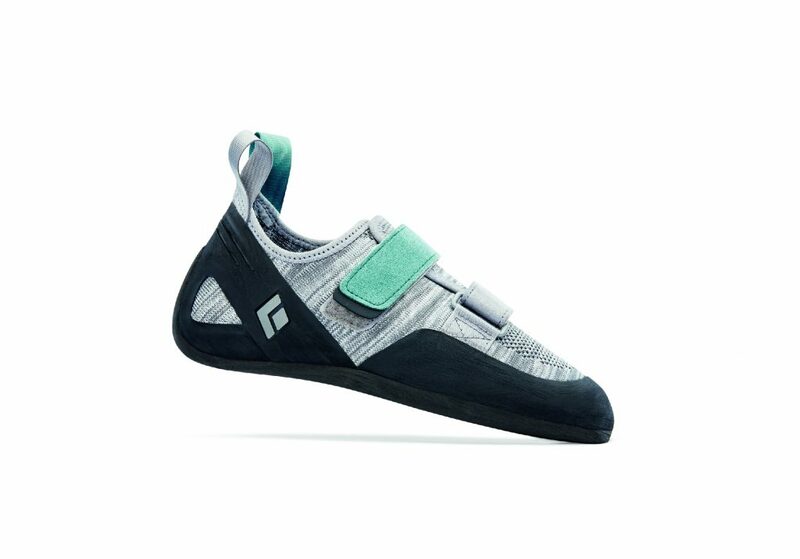 Overall, for those wanting an all-around, comfortable, quality shoe, at a good price point, with sound construction, the Momentum will not disappoint.